Would we be any the wiser if that interview had taken place? Probably not. Unlike Trump’s crumbling White House, Thatcher’s Number 10 wasn’t a place where senior colleagues queued up to cop plea bargains and turn supergrass. The omertà of that generation of ruling class Brits would earn a fond nod from Don Corleone – which is bad news for the historian, but good news for the novelist. When the doors of the Secret State clang shut, the coffin lid of the imagination creaks open. The sinking of the General Belgrano remains a mystery as well as a controversy. The bare facts are that on 1 May 1982 London refused a request from the Task Force to sink the Belgrano. Twelve hours later, a peace plan brokered by the president of Peru was accepted in principle by the leader of the Argentine Junta. Fourteen hours later, the Belgrano was fatally holed by two torpedoes from HMS Conqueror. The interrogator’s killer punch will always be: ‘What did you know and when did you know it? Although no Scotland Yard detective ever asked it of the PM, teacher turned sleuth Diana Gould did pose it on BBC’s Nationwide. Prime Minister Thatcher batted away the question with, ‘Those Peruvian peace proposals, which were only in outline, did not reach London until after the attack on the Belgrano.’ But Gould persisted, ‘If that outline did not reach London for another 14 hours, I think there must be something very seriously wrong with our communications—and we are living in a nuclear age when we're going to have minutes to make decisions, not hours.’ Diana Gould’s response was one of many things that inspired me to write South Atlantic Requiem. Something big is missing. The problem with official histories, as George Orwell warned, is that ‘Who controls the past controls the future. Who controls the present controls the past’. There are no recordings or detailed minutes of what actually happened at Chequers on the fateful Sunday morning of 2 May when the order to sink the Belgrano was dispatched. The accounts of those present seem to keep to a sanitised script, but there are blips. The Deputy Secretary of the Cabinet, who played a key role on the day, later justified sinking the Belgrano because: ‘... aeroplanes could take off from the mainland, or take off from the Belgrano, go and bomb the fleet, and get back to the mainland before they ran out of fuel.’ But this was impossible – the Belgrano was not an aircraft carrier! He also maintains that once the order was given: ‘... they sank it about twenty minutes later.’ In actual fact, it was another eight hours before the Belgrano was torpedoed. In the words of Lewis Carroll’s White Queen: ‘Why, sometimes I've believed as many as six impossible things before breakfast.’ And it was nearly lunchtime at Chequers. 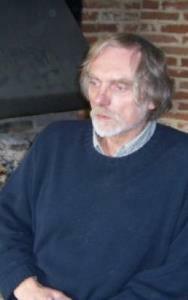 Once again, lefty spook William Catesby is torn between duty and conscience, but he also knows that ‘A lifetime of toxic loyalties, illegal ops, betrayals and lies had left him vulnerable.’ A resignation on a point of principle wouldn’t mean a modest retirement in his Suffolk bolthole, but ‘a long sentence in the Scrubs’. The Secret State holds all the cards. At first, Catesby is a reluctant hawk hunting down shady arms dealers peddling Exocets. He knows that the Junta is a murderous regime, but he also realises that the war could have been avoided if Downing Street had paid heed to the loud warning bells coming from the South Atlantic. Owing to budget cuts, Catesby’s only agent in Argentina is Fiona Stewart, a young English student who has fallen in love with a star polo player – who also flies Exocet-armed aircraft for the Junta. Like her mentor Catesby, Fiona is an emotionally torn spy. In her case, the choice is between love and patriotism. Having recently seen The Darkest Hour, I am keenly and uncomfortably aware of the problems facing those of us who write about real historical events and famous persons. Churchill’s trip on the District Line tube to meet the common people never happened – but it is great theatre. Likewise, the ‘we shall fight on the beaches’ was never broadcast on radio from the House of Commons. Should a line be drawn between truth and fiction? Yes, but the line should be drawn by the reader and not by the writer. As a writer I don’t know what conversations took place in the midnight hours between Lima and Buenos Aires – and what details were passed on to Washington and London. Nor do I know what really happened at Chequers on the morning of 2 May 1982. Even though I extensively researched these events for my fictional version, I might have got them wrong. But in the end, there was a war – and the human cost and tragedy of that conflict is utterly true. 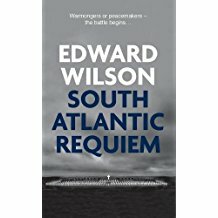 South Atlantic Requiem by Edward Wilson, published by Arcadia.